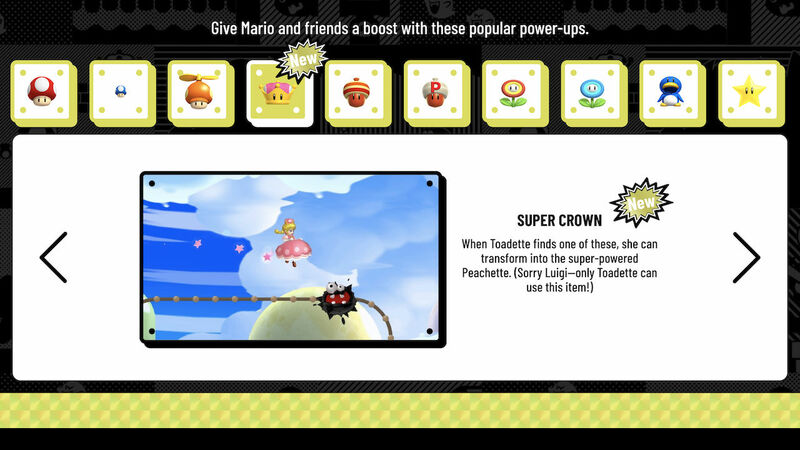 After Bowsette became a social media phenomenon, Nintendo has reinforced the fact that only Toadette can use the new Super Crown power-up in New Super Mario Bros. U Deluxe. Compared with the other characters that you can play as in the game, Peachette can double jump, floats slowly during freefall and will receive a helping hand back up if she falls into a pit. New Super Mario Bros. U Deluxe will release exclusively for Nintendo Switch worldwide on January 11th.